Sleepbox is a leading industry innovator, offering unique, multi-layered strategy which has transformed the definition of the hotels, whilst creating a unique experience within the global business, hospitality and travel platforms. Meticulous attention to detail has always been at the heart of Sleepbox. Therefore we are looking for passionate, innovative and ambitious top talent to join our 2015 Placement programme where they will grow and develop their professional talents. A tailored 12-month Placement Programme based on live on-going projects at Sleepbox’s Head Office (Warwickshire) designed to give you real time exposure to different area’s of our rapidly growing business. 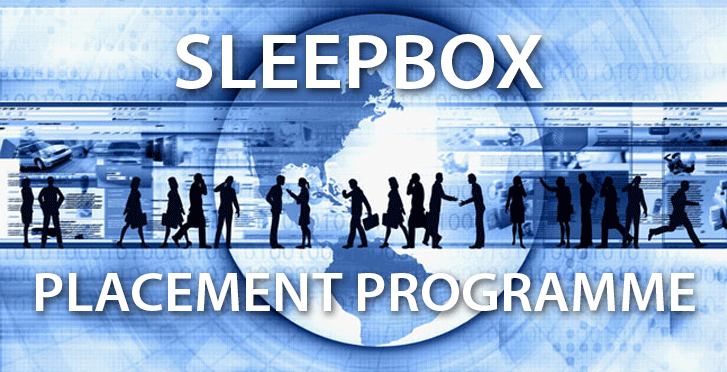 The opportunity will see you gain a real insight into Sleepbox as an organisation whilst learning from our highly respected team of experts and professionals. The Placement Programme provides you with personal development opportunities and if you are successful the opportunity to be considered for our Graduate Management Training programme.